The CO2 extraction method is useful in yielding a range of aromatic compounds as compared to any other process of distillation. Fresh ginger root is used in the extraction process by converting carbon dioxide to its liquid state from carbon dioxide state. As a result there is absence of residual extraction chemicals. In particular kinds of conditions, and at low temperature, CO2 is pressurized to form a liquid which acts as a solvent for extracting oil. On completion of extraction, the vessel used for extraction is then made to come back to normal temperature. CO2 converts into gas and leaves a solvent free top quality oil behind. Ginger oil extracted by the Co2 extraction method is in its purest form. Ginger oil a slightly viscous liquid, belongs to the Zingiber Officinalis family. The oil contains anti-emetic, tonic, analgesic, sudorific, anti-emetic, antiseptic, stomachic, antispasmodic, stimulating, febrifugal, bactericidal, rubefacient, carminative, laxative, cephalic and expectorant properties. The oil contains a number of chemical constituents ranging from zingiberene, a-pinene, b-bisabolene, camphene, geranyl acetate, b-pinene, geranial, 1,8-cineole, linalool, geraniol, borneol, nerol, neral and y-terpineol. The powerful oil has a sweet, smooth fragrance and smells like ginger itself. With a hint of pepper and lemon, it has a warm, sharp and oil spicy strong smell. The oil varies in color from darker amber to pale yellow. 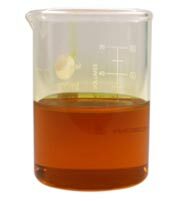 Medium to watery is its viscosity range. Since early times it has been used as medicine. 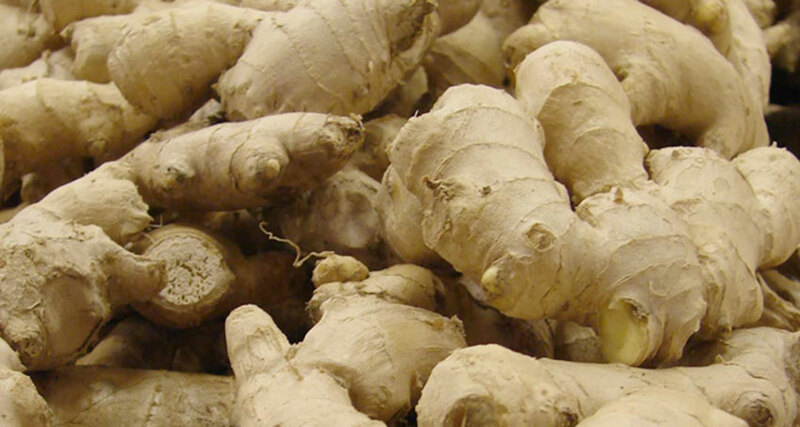 The term ginger has been derived from a district called Gingi in India. Here, stomach upsets were treated with tea made from ginger root. Ginger oil is used extensively in spot treatment, hair care, body care, skin care, oil control, clarifying, detoxing and oil control. As far as emotional and psychological applications are concerned, it is an excellent aphrodisiac and has a stimulating, calming and soothing effect. To make blends that have a stimulating effect, the best oils to choose are eucalyptus oil, myrtle oil and fir balsam oil. For the purpose of detox treatment, ginger oil can be combined with pink or red grapefruit essential oil, atlas cedar essential oil and basil linalool essential oil. It warms up tissues, diffuses pain and speeds up micro-circulation process. It is an effective remedy for systemic issues, cold, coughs, flu, pain, upset stomach and gastric issues. Its spicy and warm scent has an aphrodisiac appeal. This warming oil is useful in treating morning sickness, rheumatic pain, clearing bruises, nausea, digestive issues and conditions of catarrhal lung. 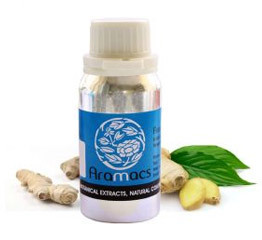 It is used in vapor therapy, vaporizers, burners, blending in bath water, blended in base cream, hot compress or used on a handkerchief for inhalation. The oil is a non irritant and non toxic but could cause photosensitivity and irritation in sensitive skins if used in high concentrations. If the oil has to be diluted with an essential oil and used then it is best to maintain a ratio of 50:50. Just apply on various vitaflex points and chakras. As the oil is photosensitive, it may cause dermatitis due to exposure to sunlight. Children below 6 years of age should best avoid it. Pregnant women also must avoid using ginger oil.